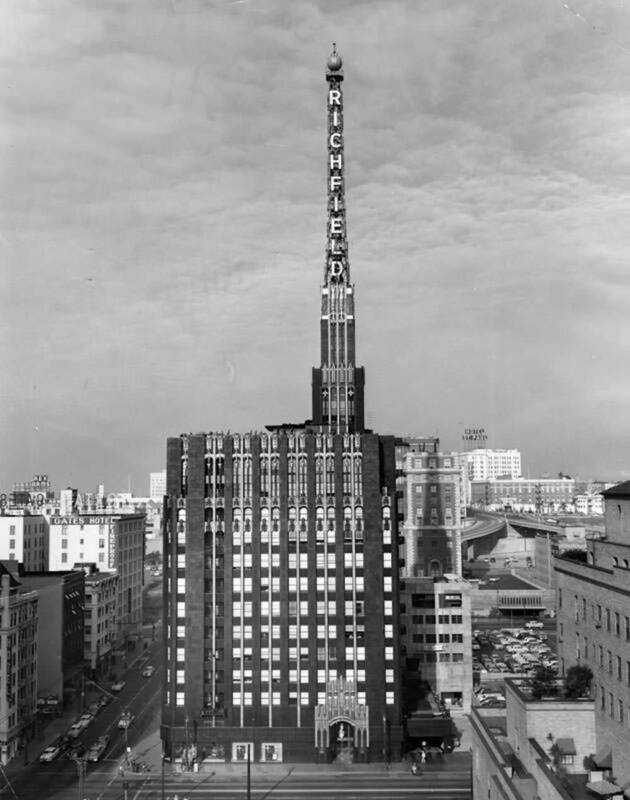 If I were ever faced with the impossible task of choosing to revive only one demolished building in Los Angeles, it would have to be Richfield Tower, also known as the Richfield Oil Building. 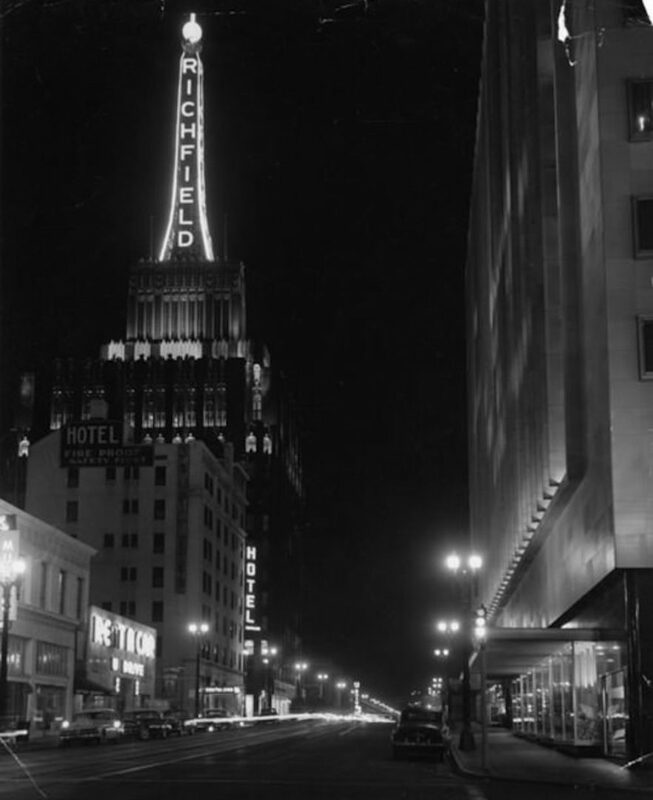 The Richfield Oil Building completed construction in 1929 on the northwest corner of Sixth and Flower Streets in Downtown Los Angeles at a cost of $1,750,000 (approximately $25,366,500 today when adjusted for inflation). 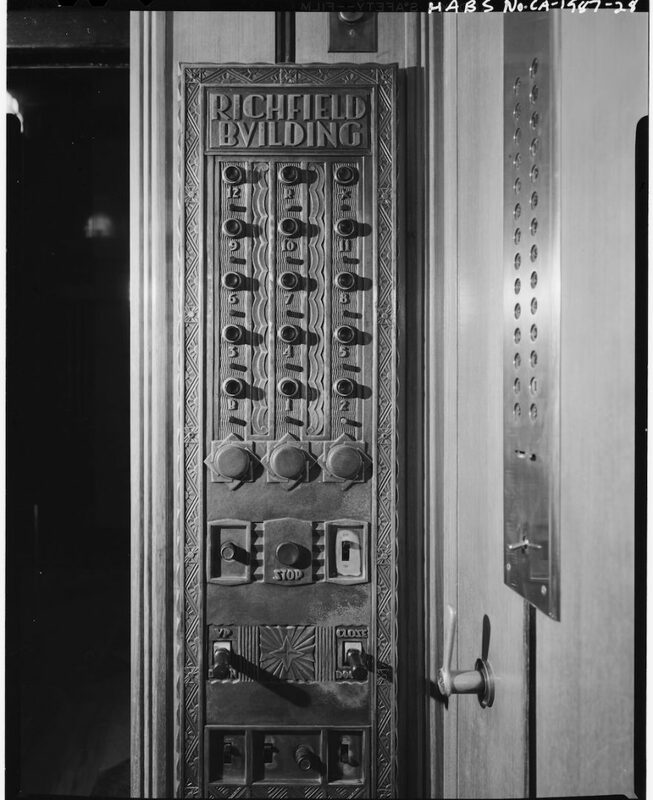 It served as the headquarters for the Richfield Oil Company. 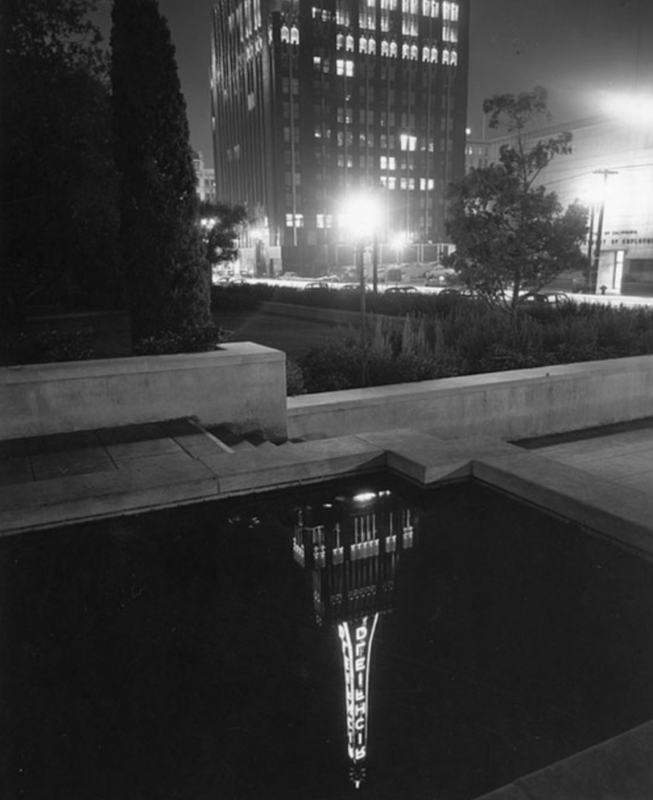 The striking tower was designed by architect Stiles O. Clements, of partners Morgan, Walls, & Clements. 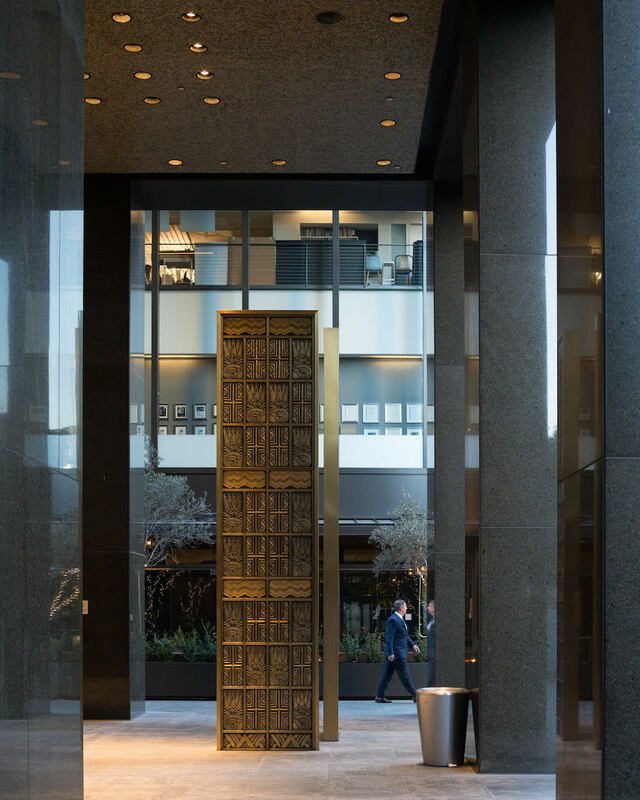 The 12 story steel-frame structure had an incredibly detailed facade made of black terra cotta and 14-karat gold-dust accent tiles. 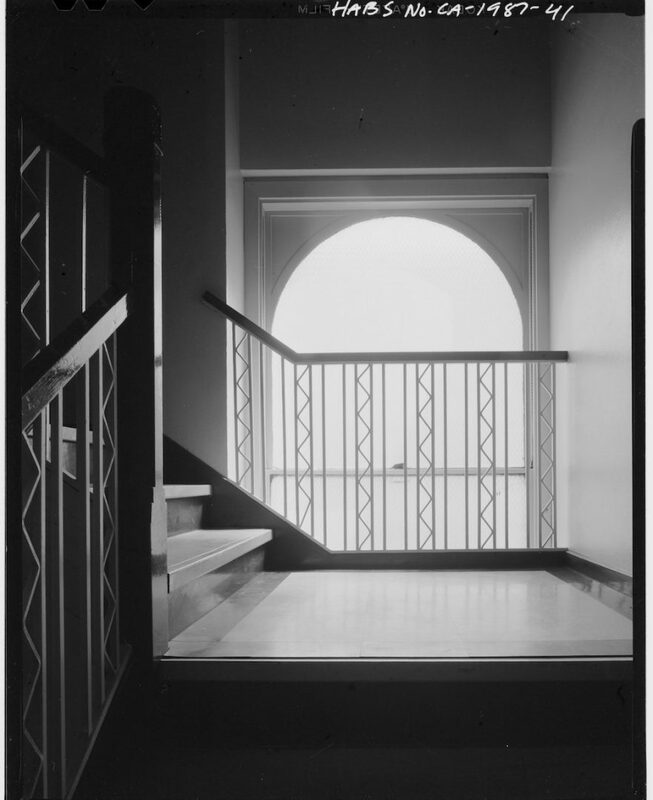 All around the upper floors were large terra-cotta figures, which were designed by Haig Patigian. 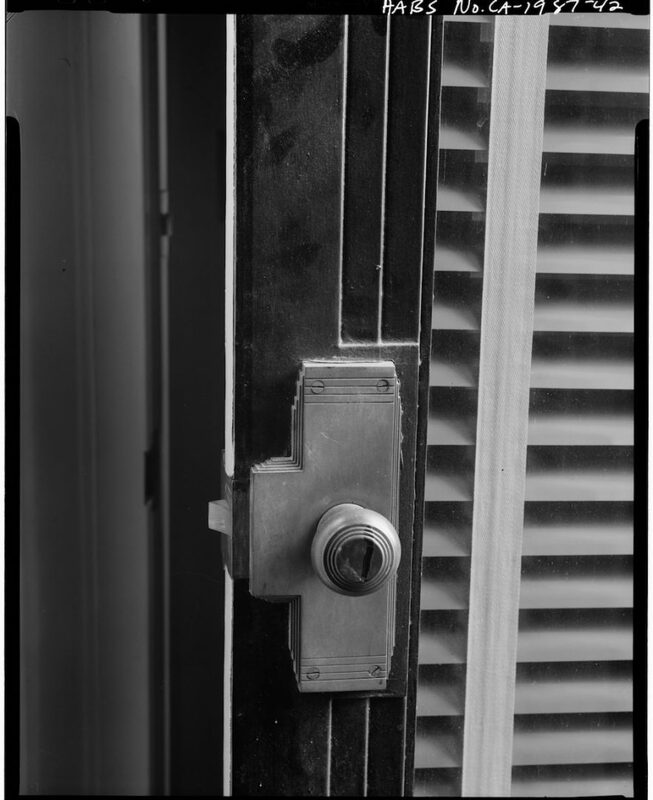 The building design was the epitome of 1920’s Art Deco Style, with characteristics drawn from the New York Setback Laws of 1916 – a mix of Cubism, applied art, ornamentation and exterior color. 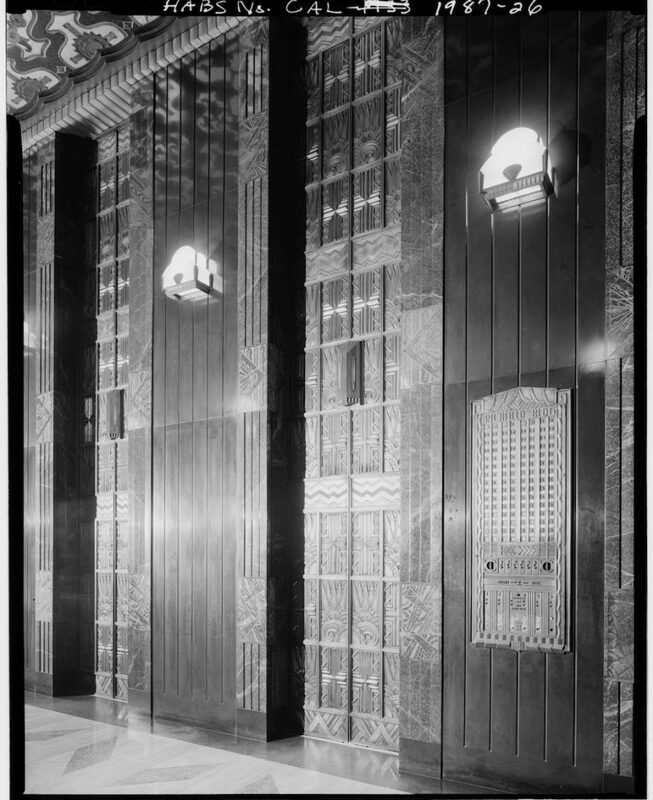 Its distinct color combination, which at that time was shared only with the American Radiator building in Manhattan, was meant to represent Richfield’s “black gold” industry. 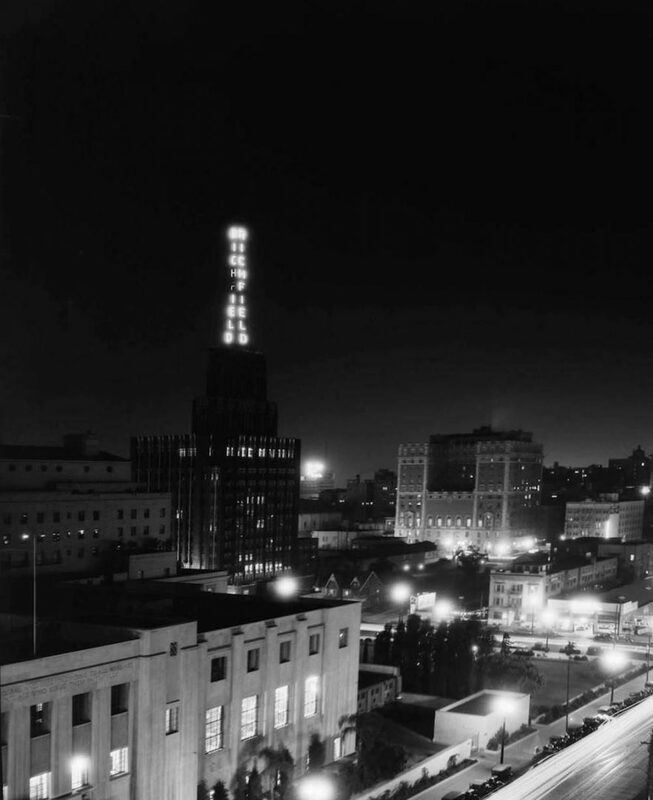 I believe it was one of the best Art Deco buildings ever to be built on the west coast; and it was certainly the most distinct structure in the Los Angeles skyline during its time. 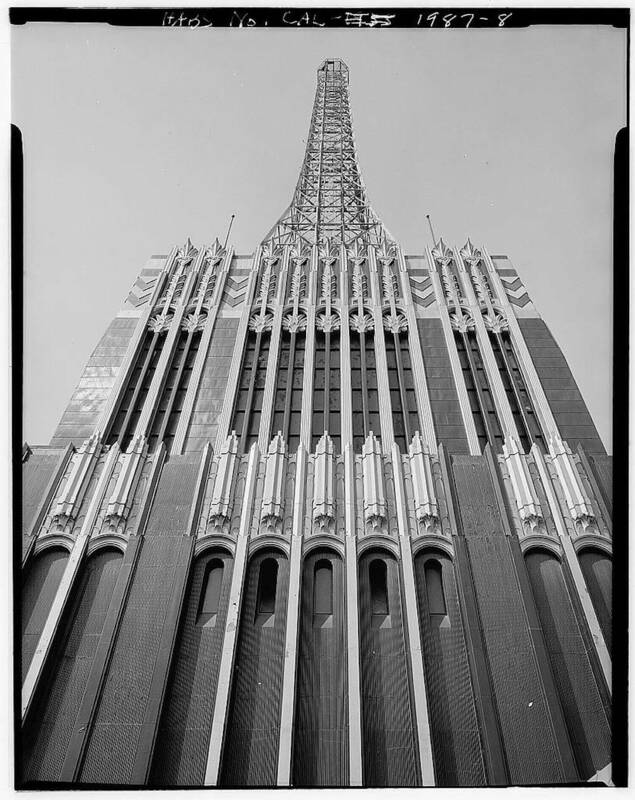 In a rare exemption from the city’s height limit ordinance of 1911, the Richfield Oil Building stood at 372 feet tall, which included the 130-foot vertical tower that adorned the top. 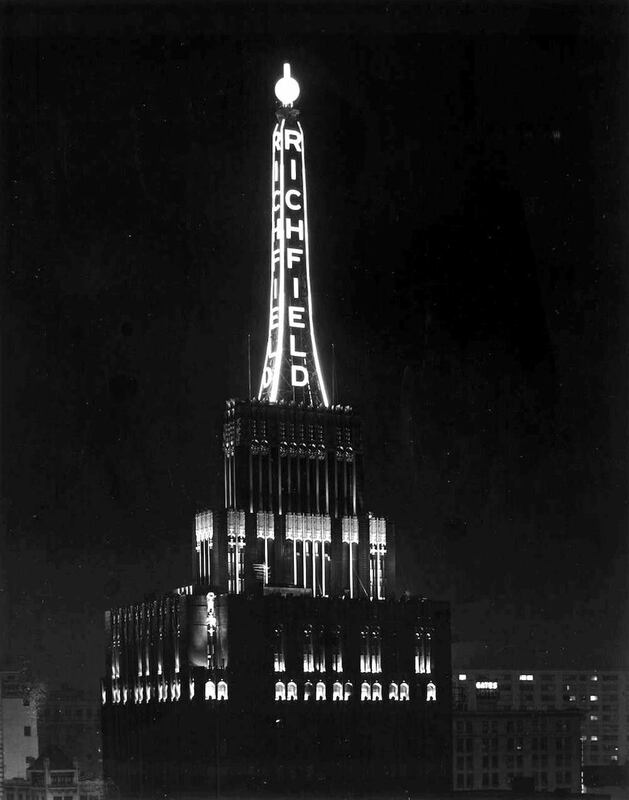 The tower’s neon sign was lit with the name “RICHFIELD.” The sign, which was designed in the fashion of an oilwell gusher, unwittingly doubled as a landmark for aviators in the dark night sky. 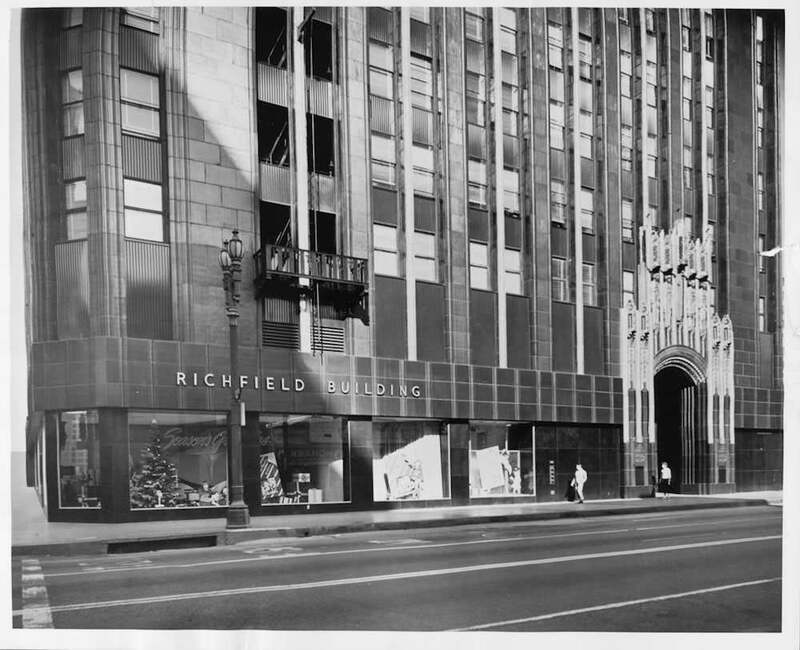 In 1966, Richfield merged with Atlantic Petroleum and plans were announced to redevelop the Richfield Oil building in order to add more office space. 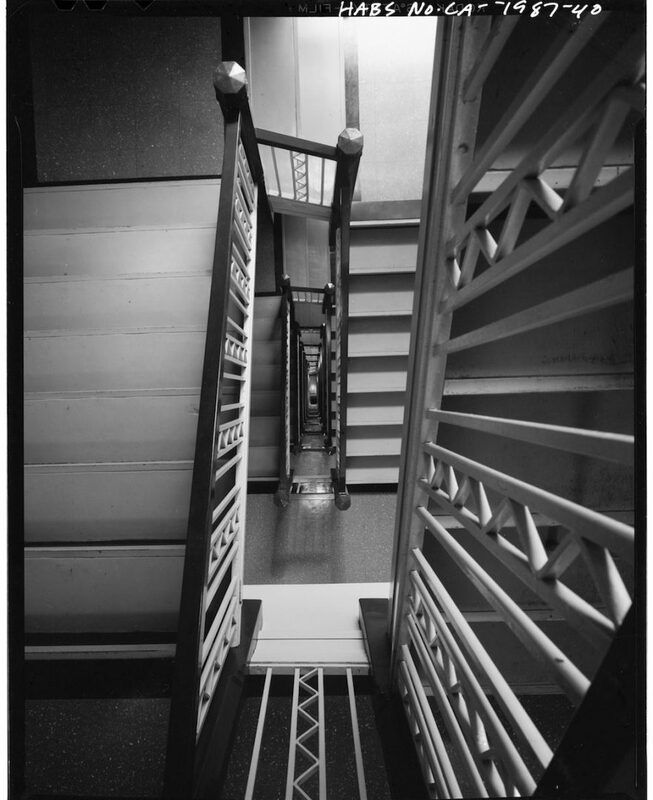 Although there were several attempts to preserve the building from various groups, the company claimed that the building was only half-usable due to obsolete utilities and pushed for a bigger, more modern development. 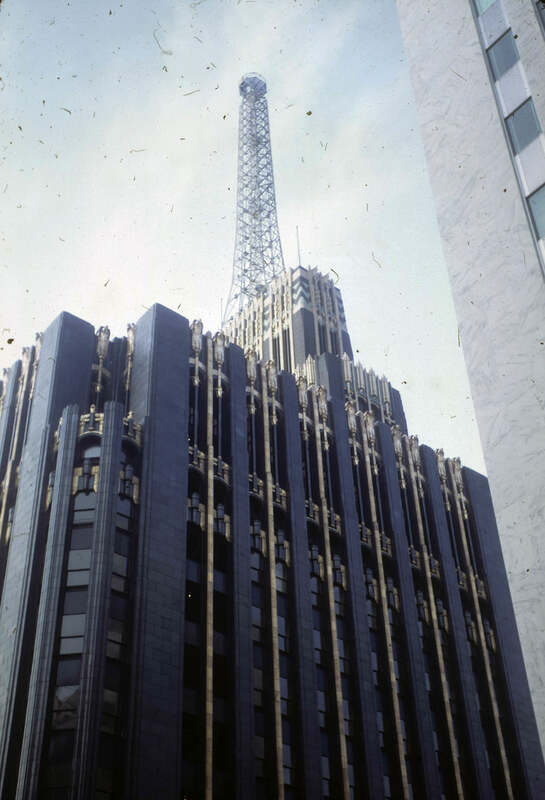 After only 38 years, the incredible Art Deco masterpiece met its fate on November 12, 1968. 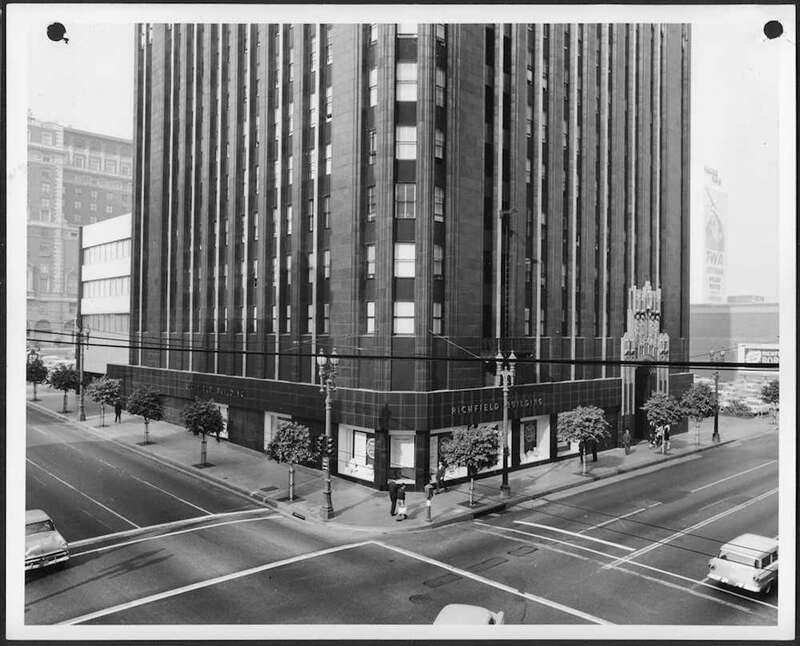 The Cleveland Wrecking Company worked for several months to tear it down, along with several smaller structures including the four-story Richfield annex, an apartment building, Dawson’s Bookstore, and the Douglas Oil Building. 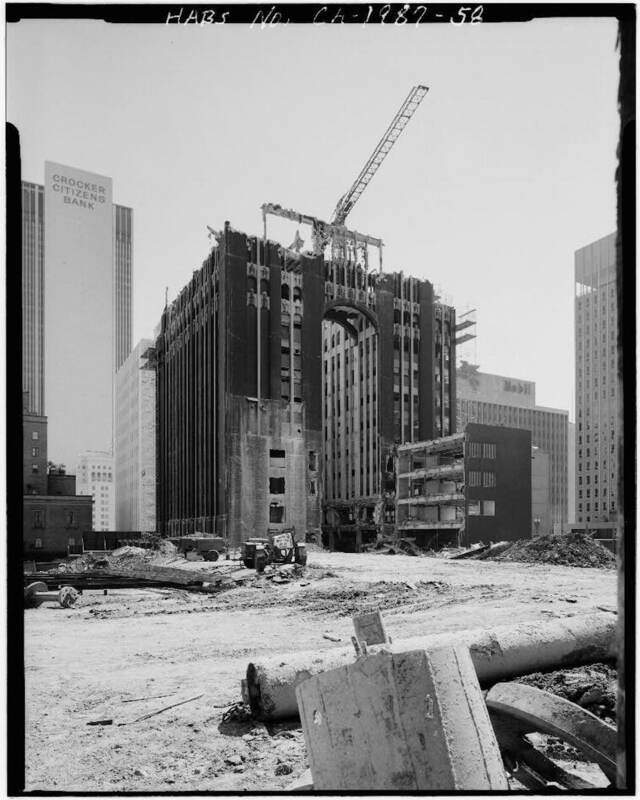 By the end of the year, the entire block had been leveled to make way for Atlantic Richfield Plaza, a pair of 52-story towers designed by Albert C. Martin & Associates. 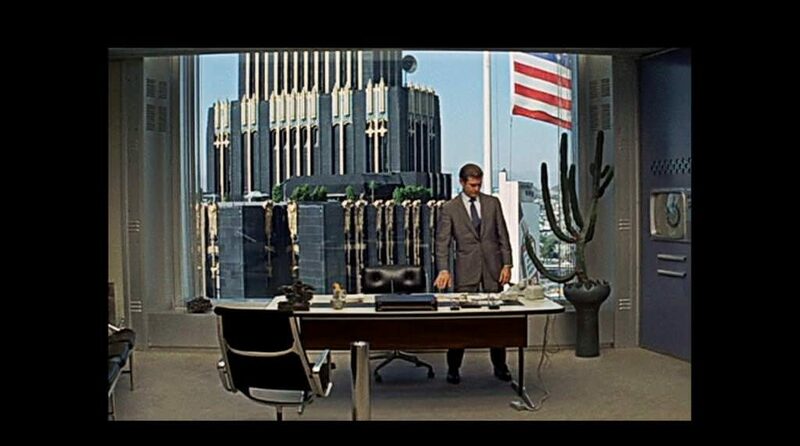 The dark polished granite towers set the precedent for Corporate Modernism design all throughout Los Angeles, and likely beyond. 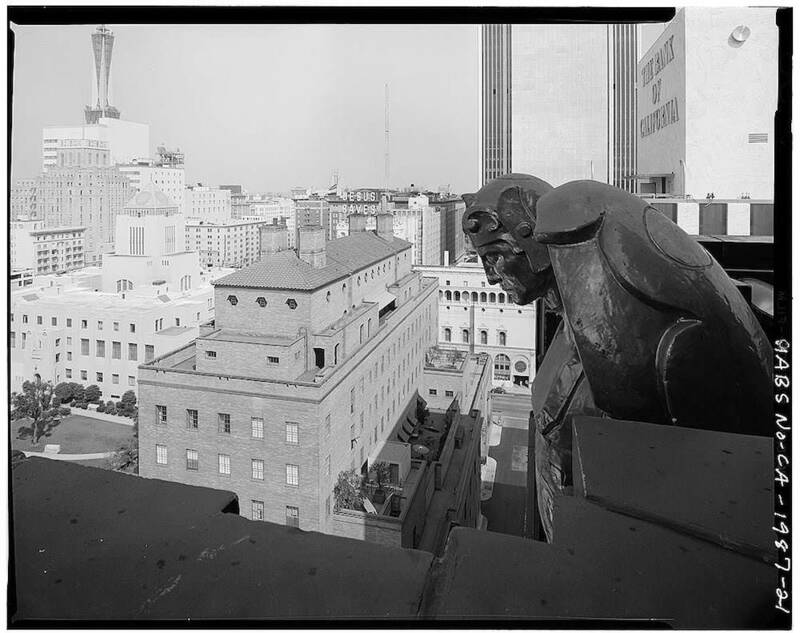 The design of the plaza (now known as City National Plaza) proved and has continued to prove integral to downtown’s urbanism – and it should with 2.5 million square feet of office space, an open plaza adjoined by a 2-story structure that houses architectural firm Gensler, and a subterranean food court and parking garage. Despite its functionality, the structure is rather unremarkable compared to its predecessor, with the exception of size. 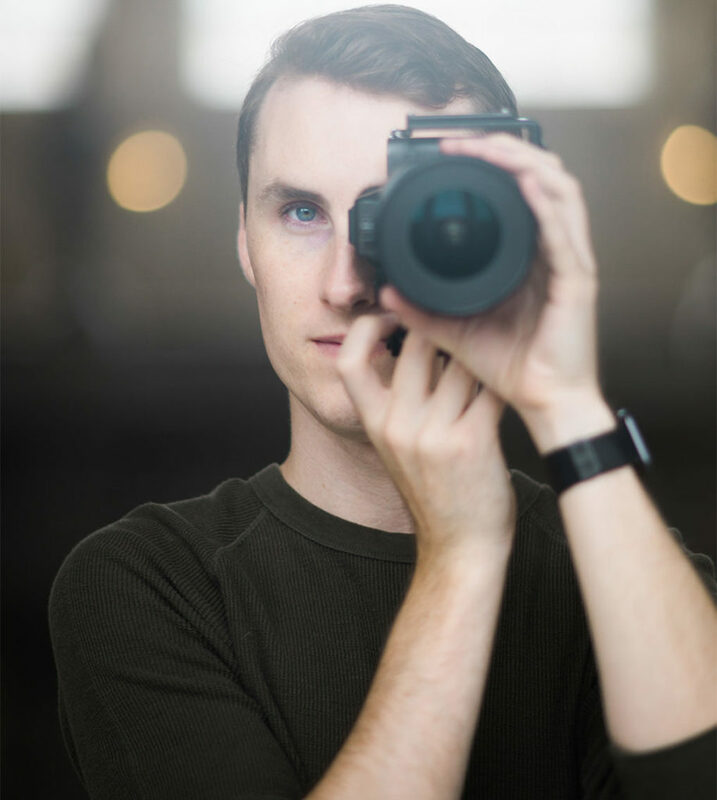 Although the history of the Richfield Oil Building is a rather sad story, not all is lost. 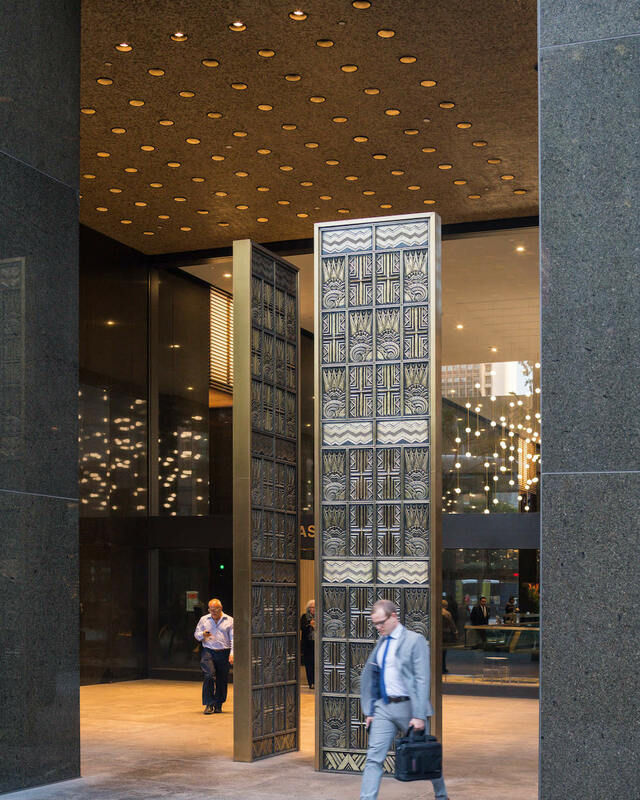 . . On the northwestern side of the plaza, hidden on the lower level, are two bronze elevator doors salvaged from the demolition. 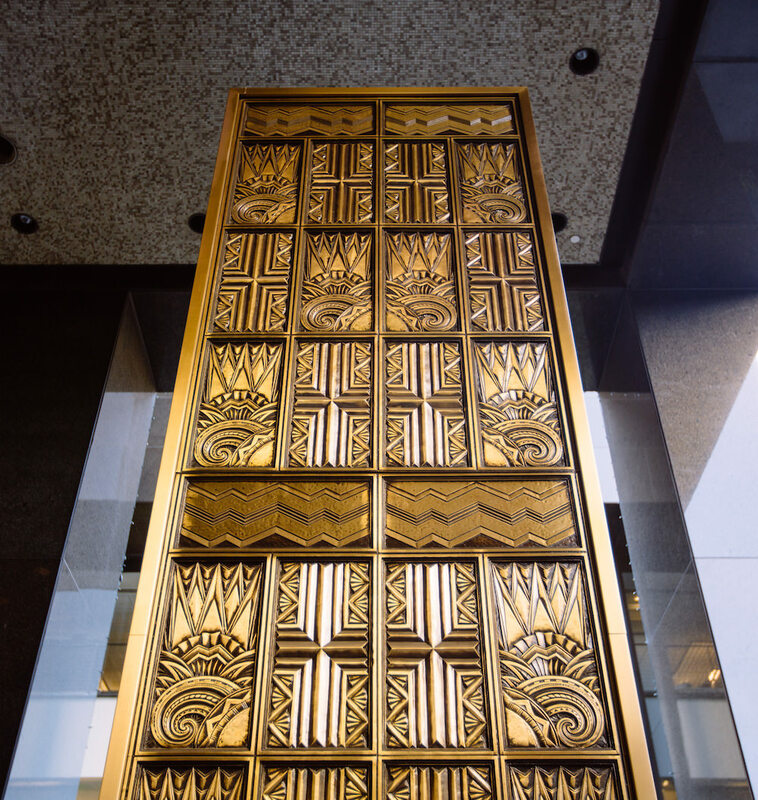 Tall, bronze, and heavily decorated with art deco patterns, they serve as a reminder of how incredible the Richfield Tower once was. The area is open to the public, and I encourage you to see the doors in person as they’re quite a marvel. 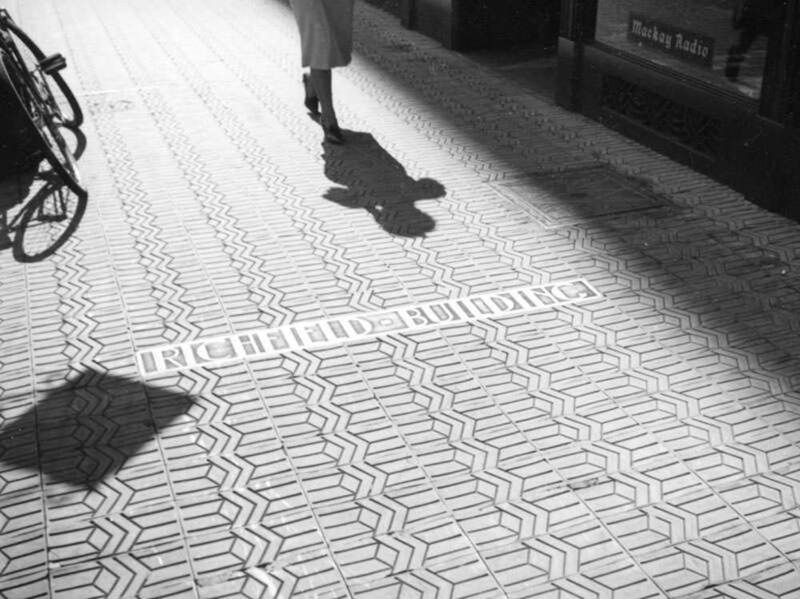 For more great photos, check out Martin Turnbull’s post on the Richfield Building here.